Zoom imageTunes in the Fetlar Hall. 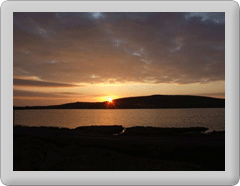 The population of Fetlar, with a few exceptions, is spread between three main settlements. The largest concentration of houses is at Houbie, where most of the services are found. The other two are at Funzie on the East side of the island and at Tresta, which lies west of Houbie near the islands main, award-winning beach. Although the population is widely spread over the island, everyone comes together to form one community. 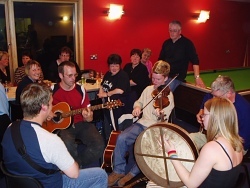 The centre for most community activity is the hall which is run by Fetlar Community Association. Every Saturday the hall is open from 9pm for a Saturday evening social and its not unknown for there to be a few tunes. Zoom imageCommunity event. The Community Association and other organisations run various regular classes, courses and activities at the Hall. Examples include computer training courses, Badminton, and Scottish country dancing, includig the annual Sheep Dog Trials presentation and dance. 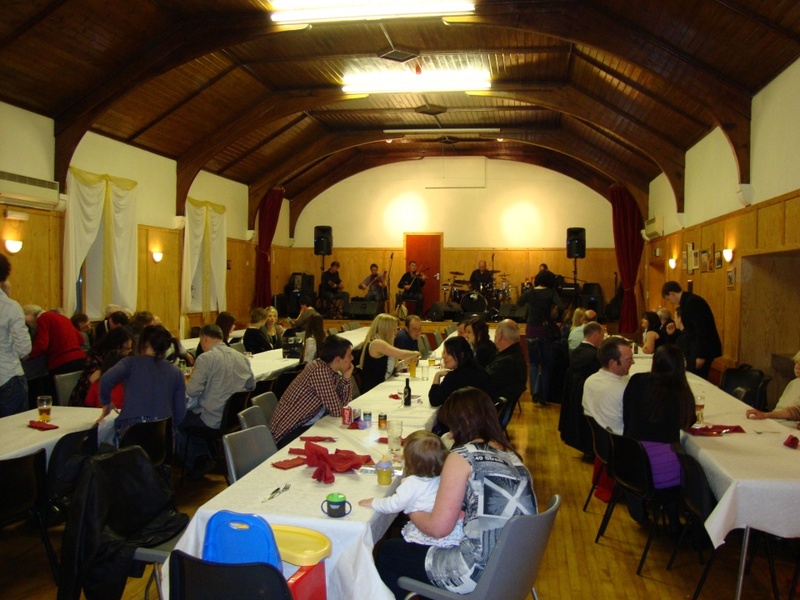 The Community Association and local clubs also organise games nights, karaoke and various other events such as themed evenings with food, drink and entertainment. Film nights are held fom time to time, using the new projection equipment. Most activities tend to take place over the Winter months, as during Summer most people are making use of the better weather and long days to engage in work or pastimes outdoors. Zoom imageVoar Redd Up. Community events are not limited to the hall either. 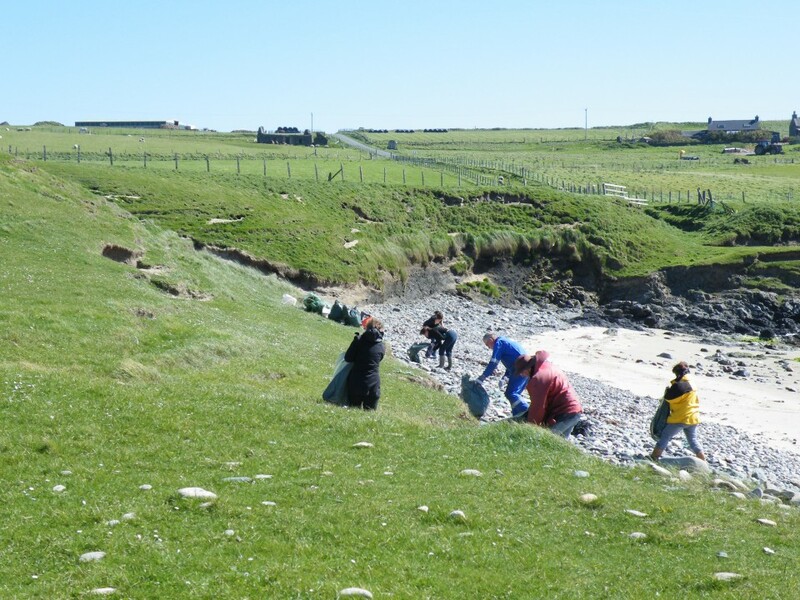 Each year in the spring, most able-bodied people on the island turn out for the annual "Voar Redd Up", an award-winning Shetland-wide initiative to help keep our islands clean and litter-free. The whole community is very proud of the fantastic beach at Tresta, one of only four in Shetland to hold a Seaside award. 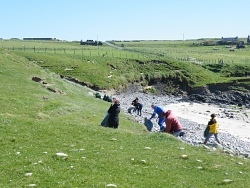 Learn more at the Keep Scotland Beautiful website.